In order to better serve you, we offer professionally-trained Design Consultants. 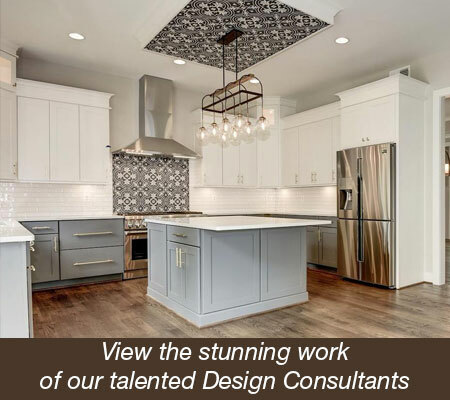 Our consultants understand the design and construction process and will work with you and your contractor to ensure that your project exceeds your expectations. Have a contractor or trade professional confirmed if you are not installing the material yourself. Know your time frame and when you are expecting to have your project completed. Think about your budget, and what is most important to you. Our creative Designers can balance things better if they know your goals and parameters. Confirm any and all structural changes prior to your appointment. Take a look on Houzz, Pinterest, etc and start an idea book for inspiration. A picture speaks a thousand words, so whatever you find that speaks to you will certainly help our Design Consultant guide you during your consultation. 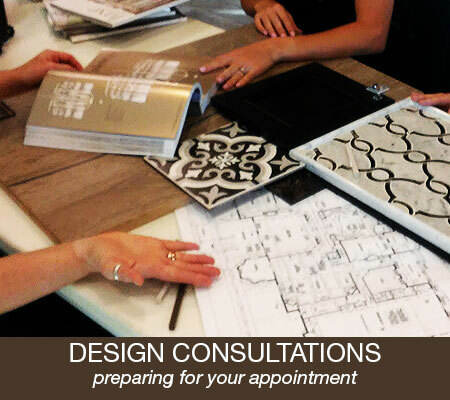 Schedule your initial consultation to start the Design Process at Mosaic Home Interiors. Bring house plans and/or pictures and measurements of the areas in which you are working. Once you and your Design Consultant develop a plan, a formal selection sheet will be completed that will clearly outline your products and installation ideas. It is important to carefully review your choices because some manufacturers are very strict about product returns. In fact, some products cannot be returned. We want to make certain that you are 100% confident and satisfied with your selections. When applicable, your Design Consultant will review the care and maintenance, CARB compliances, certifications, and warranties involved with the products you have selected. We want you to be pleased with your results for years to come. After approving your selections, you will be provided with a copy for your records. The sketch drawings and layouts will be kept on file at Mosaic Home Interiors and provided to you at time of purchase. All of this information is available for your contractor and/or builder from our Design Staff. Samples available by request. We ask that samples be kept no longer than one week. Inquire with Sales Representative for specific details. We are happy to provide information on how to figure the quantity of tile you may need, but we will not determine this figure for you. Since we do not install tile, it will be the tile contractor's responsibility to inform you of how much tile to order. All returns must be made within 30 days. Natural Stone, Glass, Special Order items and Sale items cannot be returned. Shade-Controlled material can only be returned if there are two or more cartons of the same size. There is a 20% Restocking Fee for all returns. $35.00 Charge for all returned checks. Mosaic Tile Company is proud to accept Visa, MasterCard, Discover and American Express.